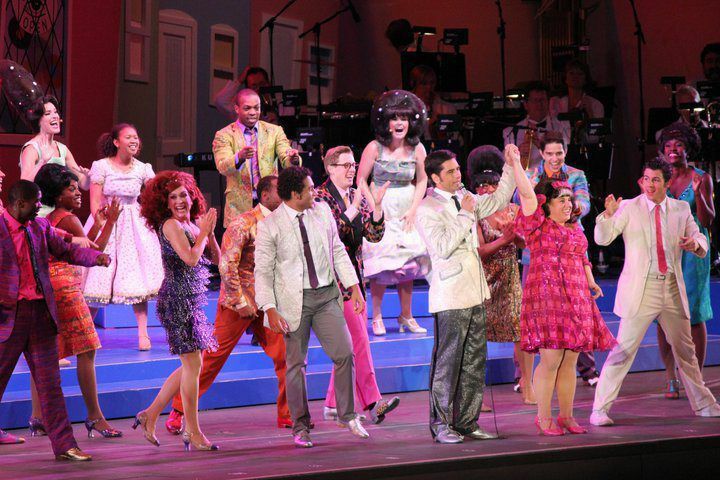 On August 5, 6 & 7th, the Hollywood Bowl’s production of Hairspray reunited the original Broadway stars Harvey Fierstein and Marissa Jaret Winokur (1992 Graduate) in their Tony Award winning roles as mother Edna Turnblad and daughter Tracy Turnblad. The star studded cast also included the well known talents of Drew Carey, Corbin Bleu, John Stamos and Nick Jonas. Along with Marissa Jaret Winokur, our AMDA alums Daniel LeClaire (2008 Graduate) and Chyka Jackson (2011 Graduate) were cast as Fender and Lil Inez. We chatted with Daniel and Chyka recently to get the full scoop on what it was like to audition and land roles in one of the most talked about events of the season. Where did you grow up? Did you always know you wanted to be a performer? Daniel: I grew up in Neenah, WI, small town about 3 hours north of Chicago. Basically was like Pleasantville and I had a wonderful upbringing there. I was three when I began recording my sister's show choir performances on my Fisher Price tape recorder. I'd wear her costume and make my family watch me do the entire dance in our basement. So I'd say yeah, I've always known! Chyka: I grew up in California and Arizona and yes I did. I started performing at age 5 and began taking dance, voice and piano lessons. I was always involved in school performances and it was that involvement that solidified my desire to become a performer. 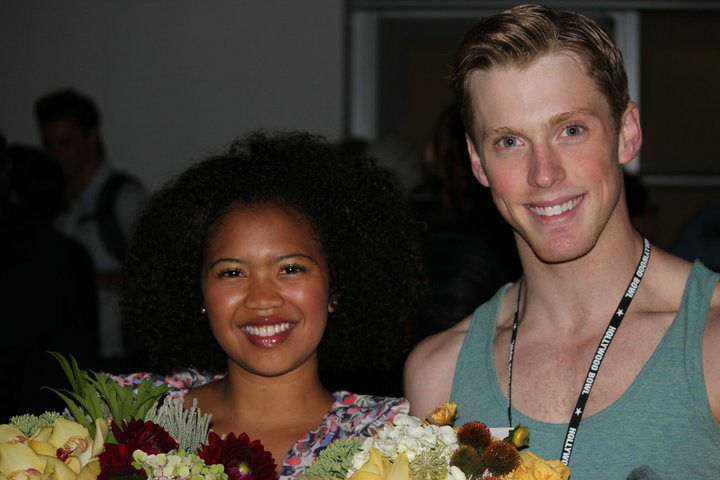 What brought you both to AMDA? Chyka: One day, in high school, after a school show, I eavesdropped in on a conversation that my friend was having with one of the parents about her after graduation plans. She mentioned AMDA and said that it was a performing arts college. I did my best to remember that weird name and went home to look it up, and voila! After thoroughly checking AMDA my parents and I decided it was the school that could provide me with the type of education and training I will need to be successful in my chosen career path. Daniel: Well I of course researched the musical theatre programs in New York, because I knew I had to be in Manhattan. So for my 16th birthday, my parents sent me out to look at schools with my best friend. We took a tour of AMDA NY and the second I went in studio 400, I knew that's where I would belong. The wrap around windows overlooking the trees and the Hudson River made me want EVERY class to be in that studio. I remember how disappointed I was every time I was assigned a different one. Daniel what was your first job out of school and how did you get it? Daniel: My first job out of school was High School Musical in Florida. I booked it along with 2 other shows (All Shook Up and a Christmas Revue) during my 4th semester. I got it from a very long audition process at Chelsea Studios. I was extremely exhausted from auditioning ALL DAY EVERY DAY and then going to 4th semester night classes. Once I booked that, the rest of my semester I slept until about 4:30pm everyday and went straight to class! It was worth every second. 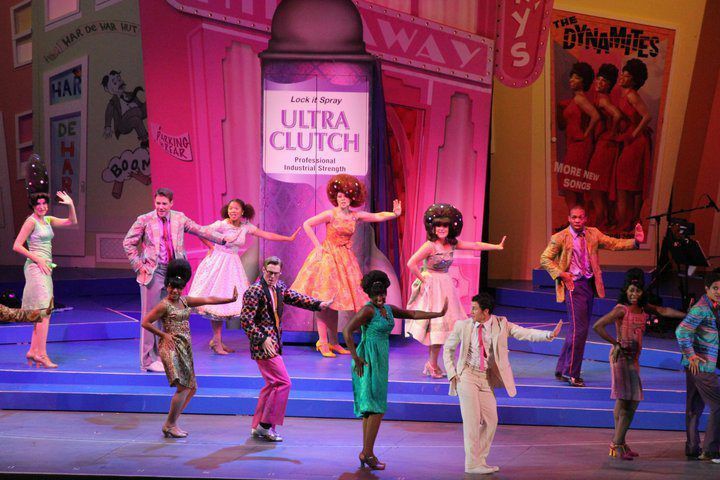 Chyka You landed this part in Hairspray, fresh after graduating. What did that feel like? Chyka: It felt fantastic. Just before completing school my fellow classmates asked what my plans were upon graduation, my primary answer was “well, I’m going to be auditioning.” I started to get tired saying that, so I told myself, “Chyka, you will get a gig right after you graduate. You will be doing something, something cool.” So, I auditioned practically non-stop. Who knew I would stumble upon something so rewarding? 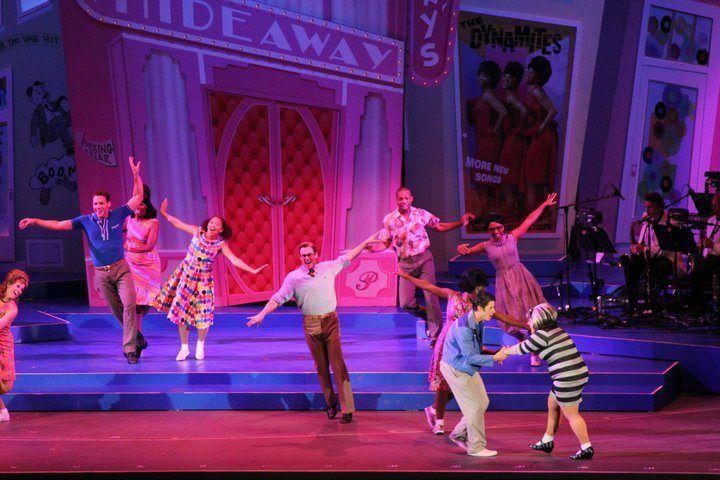 Daniel, Tell us about how you got the part of Fender in Hairspray? Daniel: Well it was a typical audition. I heard about it through a friend and I called my agent to get me in. Little to my knowledge she sent me to the open dancer call (come to find out the next day was an invited call.) We learned the Nicest Kids routine like all Hairspray auditions (which Tiffany Engen taught for my combos class in 2008.) It was about 90-degrees in the audition space and we were giving everything we had. I made it through that grueling cut after everyone almost vomited from dancing so full out with the heat. Then we had to sing about 2 minutes after that, fun, I know! And then another cut. This repeated numerous times for 2 days and finally made it to the end! I heard that they were only casting the "Nicest Kids" parts from those who had done the show with Jerry Mitchell before, so I counted myself out. The next Friday, my childhood dream came true and I got the call from my agent. I literally fell to the floor and called my mom crying. Chyka, tell us about your audition experience for Hairspray and how you landed the part of Lil Inez? Chyka: I rode to the vocal audition with two of my friends. We got there early but because we were non-union and equity was a priority we were among the last to audition. Of course when you audition there is always a sense of insecurity so I decided to go to the dance call the next day. I was surprised when I got the call to sing again, the call back was the best audition I have ever had! That night, I received the news that I was to audition for the role of Lil Inez. Everything just felt right. Two weeks later, my agent called and informed me that I had the part! I definitely cried. 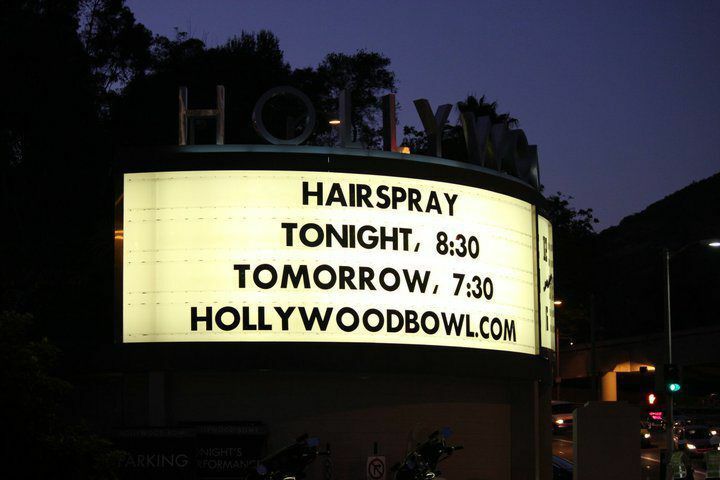 What was it like to work with director Jerry Mitchell, Harvey Fierstein, Marissa Winokur and the rest of the star-studded cast at the Hollywood Bowl? Chyka: It was a dream-come-true. Everyone was so awesome to work with and I learned a lot. I was extremely nervous but everyone made me feel at home. Jerry was a perfect mix of professional and silly, he expected nothing less than for each of us to know our parts by our next rehearsal. He participated in our “Booty Short Friday” (that was when we wore booty shorts to rehearsal). Harvey is hilarious, cracking jokes with the most perfect timing. Marissa is very friendly and sweet. She was kind enough to throw a cast get-together so each of us could bond before the performance. This was a really talented cast! 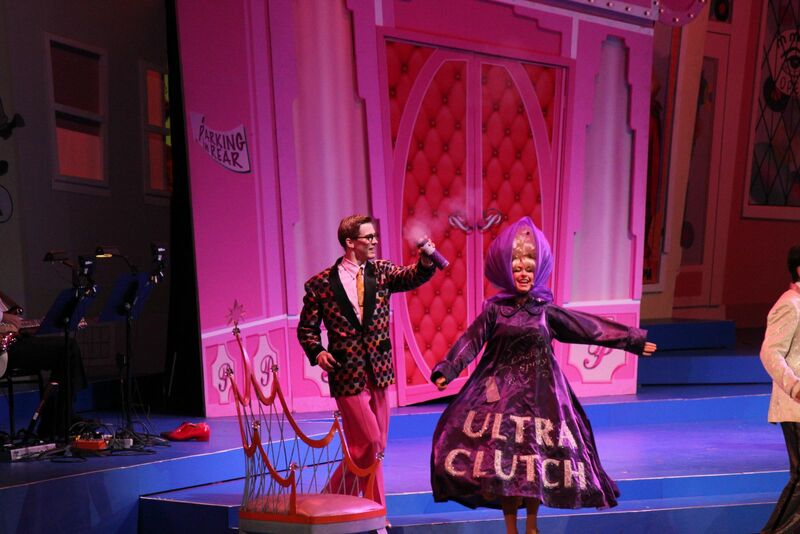 Most of the cast members had either performed on Broadway, in Las Vegas or toured nationally. It was a thrill to hear them talk about their experiences. Daniel: There is no one out there like Jerry Mitchell. He is an amazing director, choreographer, and he cleans numbers like no one's business, and he is a truly phenomenal person. He was a mentor and a great friend throughout the process, never doubting me of anything and trusting that I'll "Get it." Harvey, is well probably one of the funniest people I have ever met. He is the class clown and always on. Marissa cracks me up. She should be on the show "Adults Say The Darndest Things" because some of the things that come out of her mouth kill me. She has a very dry sense of humor and her hair is always huge! Harvey and Marissa together make a hilarious duo. And as for the others, Diana DeGarmo is a superstar, the epitome of a triple threat! John Stamos is quite the stud. Nick Jonas was one of the hardest working cast members in the show. Drew Carey was by far the nicest man I've worked with to this day and Darlene Love has the talent of a fresh 25 year old Broadway star, yet she has decades on all of us. Now what’s up next for you? Daniel: I am relaxing after an insanely busy summer and then finally making it back to NYC for the month of October after being MIA for 2 1/2 years! I am then heading back west to set and cast a show to benefit a new theatre, dance, and philharmonic company in Anaheim. Chyka: I will definitely keep auditioning. I plan to take additional classes to keep up my craft. I recently got theatrical representation; I am very excited about that. I've accepted a job on Carnival Cruise Lines joining the cast to entertain passengers which I will be starting in January. Thank you both for sharing your exciting experience with us. We look forward to keeping up with all that comes your way.